My first Python package is in PyPI!! I guess that now I can officially call myself a python programmer. VCF2Networks is a python script to calculate genotype networks from population genetics data. Genotype networks are a method used in systems biology to study the “innovability” of a given phenotype, by representing all the genotypes associated with the phenotype as a graph, and studying some properties of this graph, such as the average path length and the average degree. For more info, you can look at the slides of the “Origins of Evolutionary Innovations” book club in this blog. The script in VCF2Networks allows to take any dataset of genotypes stored in the VCF format, and calculate many of these properties. 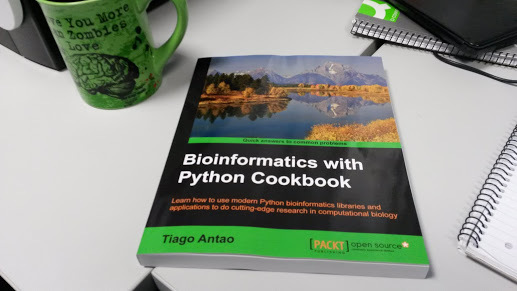 In principle, I am planning to submit an application note about the script to a bioinformatics-oriented journal. So, if you have some little time to lent me, and you want to test it, any feedback will be very useful for me. At the moment, the major issue is to simplify the installation, because this package depends on numpy and python-igraph, and these two modules require some terrible C libraries that must be installed separately. If you are aware of any way to distribute a binary package of a python module that depends on C libraries, your suggestion will be really welcome.